There is nothing more disheartening to a boat owner than seeing their boat’s fiberglass damaged. The good news is fiberglass can be repaired to look brand new. 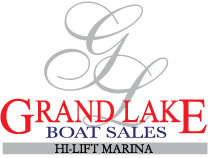 We staff some of the most professional boat body repair specialists in the area. We will fix whatever fiberglass issue you have quickly so you will be boating in no time. In addition to all structural repairs, including aluminum and wood, we also specialize in custom color painting and custom striping. So whether you need a major structural repair or a new paint job, including the bottom paint, we can provide you with professional, experienced service that will leave your boat looking better than the day you bought it. Stop in today for a free custom quote!